The Hotel Paradies in Ftan turns its vision into reality: the exclusive Club Privé «Il Paradis». As an officially registered association, it is the first of its kind in Switzerland. The proven hotel club model among friends has long been established in the USA and UK but, until now, such a concept has been missing from the German-speaking region. 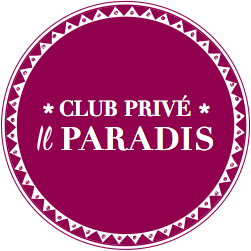 The number of members of the Club Prive «Il Paradis» is deliberately limited to 200 members – admission is completed in the order that the applications are received. The club will lease Hotel Paradies of the same name. The club for liberal-minded individuals will combine natural prestige with discrete luxury, allowing you to stay at the hotel surrounded by like-minded guests, completely informal and undisturbed, discrete and durable, elegant and authentic. The opening times are organised around the most beautiful times in the valley: from Christmas in the winter up until Easter and from the mountain summer in July up until the Engadin “Indian Summer” – six of the finest months of the year.